How can you tell if a coconut is ready to eat? The entire fruit is covered by a rock-hard exterior, so you can't really squeeze them to test their ripeness. Instead, feel the three "eyes" at the bottom of the coconut. If they feel slightly soft and dry, that's a good sign that the fruit is mature. In the summertime when fruits are plentiful everywhere, knowing the signs of ripeness is a useful skill to have. It's especially important for fruits like strawberries that don't ripen after they're picked and need to be bought at the right state of ripeness. For many summer fruits, smell is a good indicator of their ripeness. For peaches, pineapples, cantaloupes, and mangoes, their stem ends should smell sweet like how they should taste. For most fruits, they should feel heavy relative to their weight, which is a good indicator of their inner juiciness. Knowing when your fruits are ripe enough to eat is only half of the battle. Once you take them home, make sure they're stored properly in the kitchen so they don't spoil before you have the chance to eat them. 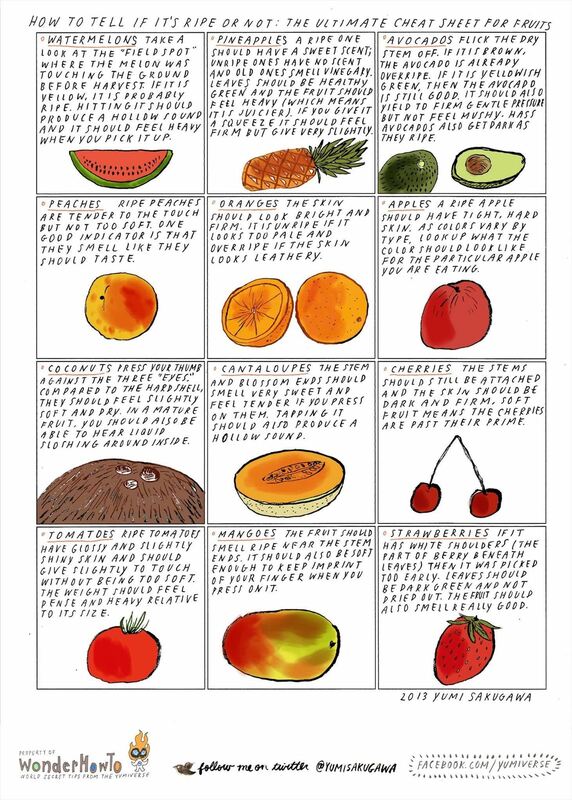 Got your own tricks for telling if a fruit is ripe or not? Share with us! How To: Exam Coming Up? Use This Anaglyph 3D Trick to Combine Two Cheat Sheets into One!